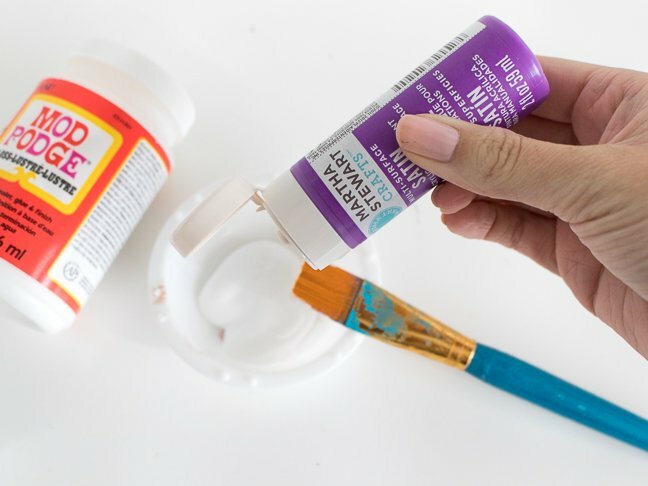 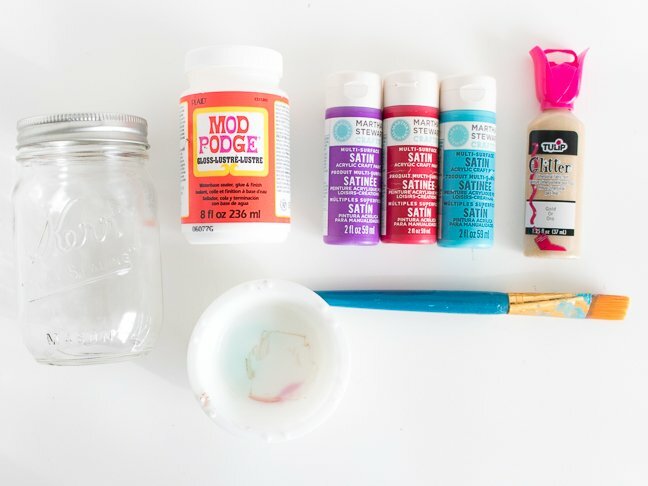 Step 1: In a small bowl, mix together the Mod Podge and several drops of paint. 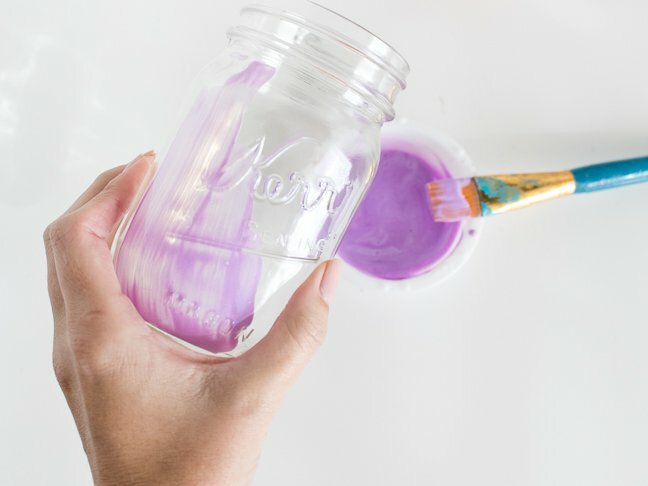 This makes the paint more translucent, but it will also lighten the colour. 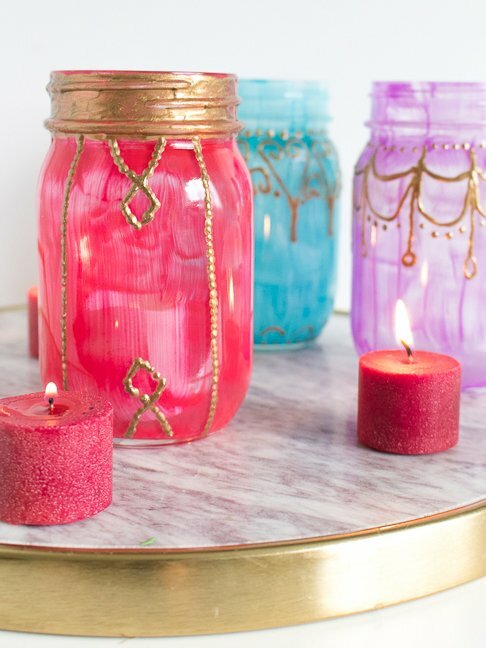 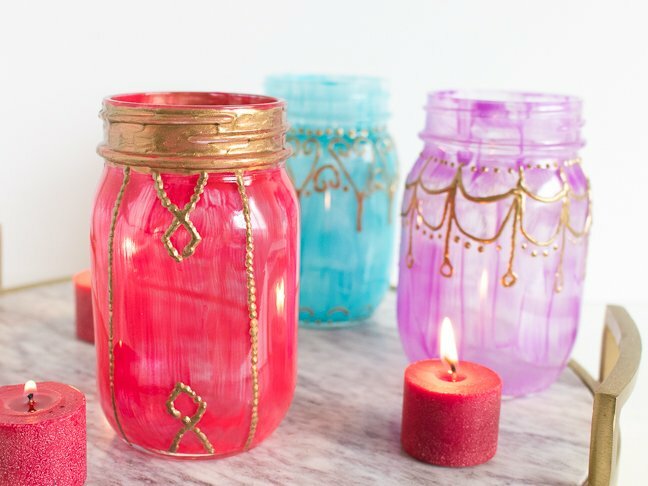 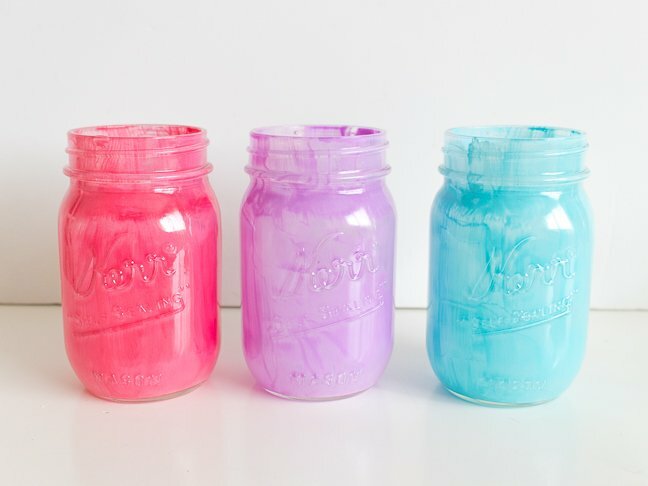 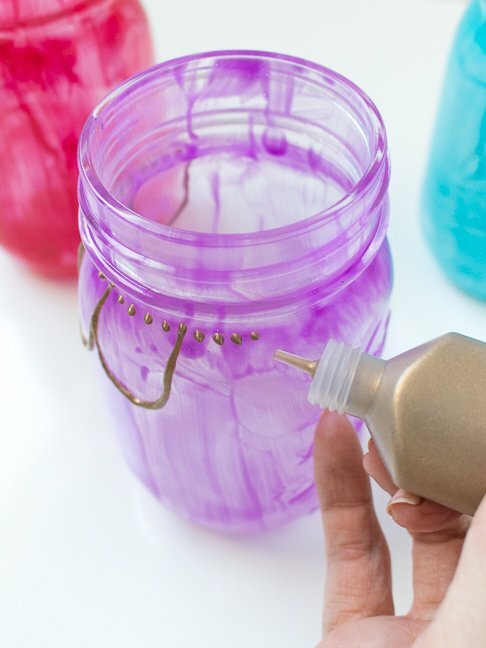 Step 2: Paint the coloured Mod Podge along the entire inside of the jar, and set aside to dry for about one hour.